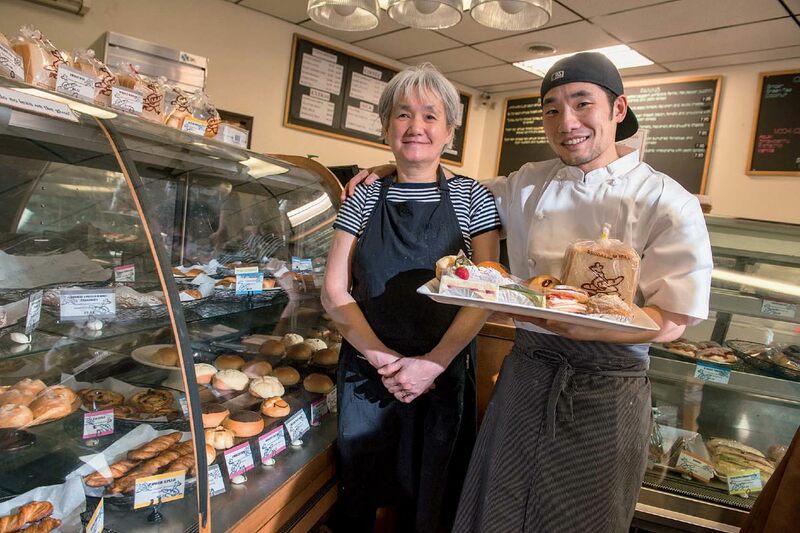 Hiroko Sakan and her son, Takeo, work together at their bakery, Japonaise. Praliné’s French treats are laid out like jewels, under glass. 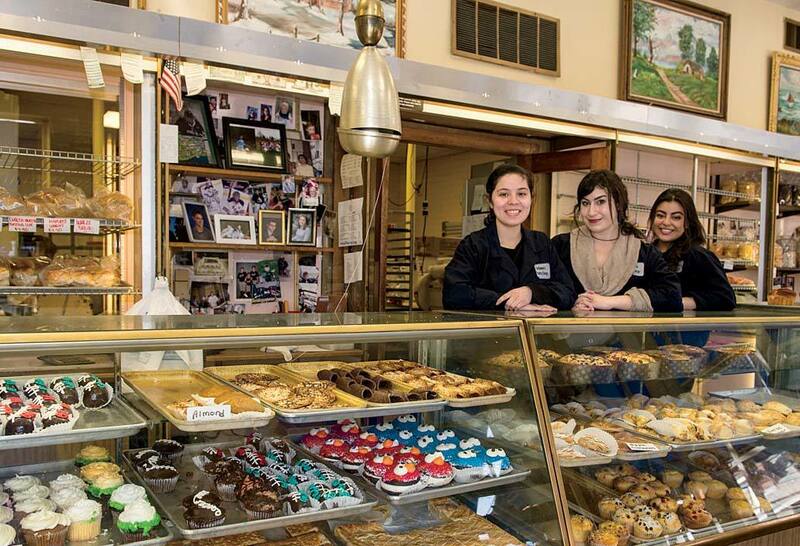 Alejandra Ramirez, Olivia Hitchens, and Gabriela Ramirez (from left to right) preside over the goods at Antoine’s Pastry Shop in Newton. People are picky about pastries. One lady’s scone is another’s scorn. A gentleman’s prized honey-glazed donut is another’s adamant do not. What follows is a very short list of bakeries that rose above derision during an impromptu office taste-test. A clear favorite, the “azuki cream,” from Japonaise Bakery & Café, in Brookline, is a dreamy pillow of croissant pastry baked with a smear of red bean paste at the bottom, then cooled and pumped full of fresh whipped cream. The $3.50 treat is not fussily sweet, notes Takeo Sakan, who does the baking alongside his mother, Hiroko Sakan, who opened the shop in 1985. For similarly no-nonsense, hand-cut donuts (unlike those maple-infused numbers dotted with bits of hand-cured bacon and free-trade chocolate), go to Linda’s Donuts, in Belmont, supposedly named for the former owner’s daughter. She’s not there now, but patrons will find Arthur Paloukos serving bags, boxes, and plates of donuts—most popularly, the Boston cream, raspberry-apple jelly, and chocolate honey-dipped sweets ($1.25 each)—that his father, John, arrives every day at 4 a.m. to make. The cozy shop opens two hours later, when regulars shuffle in and take up the 18 seats, primed for a mug of coffee and a gab session. Soon, others line up, construction workers and cops, kids and their parents, all pining for that warm hunk of sweet dough that will carry them through the day. For fancier fare, head a few blocks east to Praliné Artisanal Confections. French-born owner and pastry chef Sophia Benyamina opened it a year ago and specializes in macarons—pistachio, orange blossom, chocolate, and raspberry, among others, $2.50 each—and French tea cakes, including madeleines, cannelés (cylinders of caramelized crust with custardy interiors), and financiers (springy cakes, typically almond-flavored), that cost around $3: “a lot of butter and sugar,” comments the salesgirl. Also on offer are tarte aux fruits; chocolate-honey marshmallows; and almost-too-pretty-to-eat handmade chocolates. More eclectic, with a grungy-chic vibe, is Canto 6 Bakery. Located on a busy street across from the police station in Jamaica Plain, the seven-seat, storefront café offers sweets that range from the rustic salted chocolate-chunk cookies ($2.95) and cranberry oat bars ($2.25) to the refined bostok (sliced brioche topped with apricot jam, frangipane, and almonds; $3.95), raspberry-apple galette ($2.95), and palmiers (those crunchy, buttery pastries also known as “elephant ears”; $2.50). Don’t leave without a tappo ($1.25): Italian for bottle-stopper, this dense shot of crusty chocolate cake has a molten center.